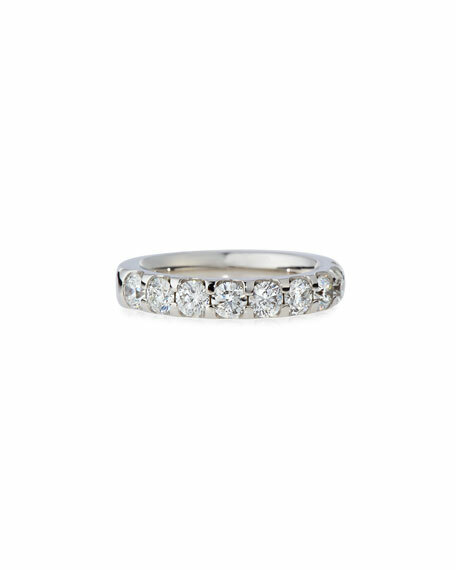 Memoire extruded band ring in 18-karat white gold. 1.50 total diamond carat weight. For more than two decades, Mémoire has crafted elegant diamond jewelry in 18-karat gold and platinum. A trusted brand, Mémoire is known for the highest level of quality and craftmanship. Beauty, as well as strength and sophistication, is reflected in each piece. Classic designs are timeless, and created to be worn for a lifetime. An unwavering commitment to quality and innovation makes Mémoire an eternal favorite of fine jewely connoiseurs. 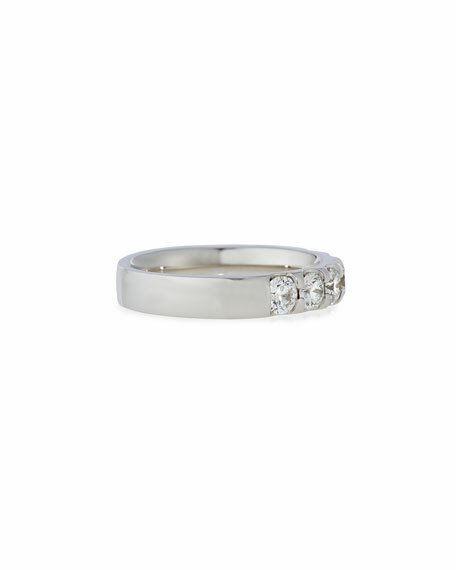 Celebrate your treasured milestone with a classic symbol of enduring love. Mémoire, how memories are held. For in-store inquiries, use sku #2068408.